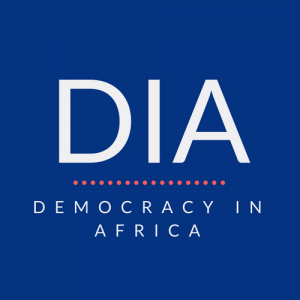 Samuel Woodhams explains why the rise of internet shutdowns, despite justification by governments, is threatening to undermine democracy in Africa. Since the beginning of 2019, there have been several high-profile cases of governments across Africa restricting access to the internet. From Sudan to DR Congo, millions of citizens have been unable to get online at times of mounting political pressure. According to Access Now, there were 21 shutdowns across the continent last year and, with three shutdowns in the first month of 2019, that number appears set to rise. Restricting access to the internet in an attempt to stifle dissent is nothing new; governments have understood the power of social media in coordinating protests since at least the outbreak of the Arab Spring in 2010. However, the increasing frequency of shutdowns suggests that internet ‘kill switches’ are rapidly becoming a standard tool used during social and political disturbances, with fears of similar reprisals spreading throughout the region. Perhaps the most influential of all recent cases occurred in Zimbabwe where, under two years since Robert Mugabe’s departure, the internet was shutdown amid fuel protests. 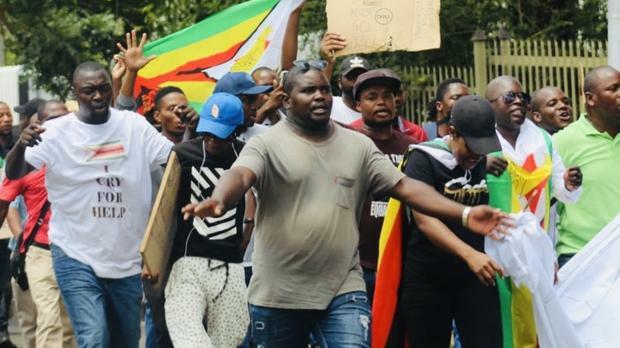 In the second week of January, protests broke out in the cities of Harare and Bulawayo following a 130% hike in fuel prices. The move resulted in petrol costing more in Zimbabwe than anywhere else in the world, despite high rates of inflation and an acute currency shortage. President Mnangagwa argued that the increase in price would help address ongoing fuel shortages. However, the country’s largest labour body, the Zimbabwe Congress Trade Unions, accused the government of grossly mishandling the situation and putting citizens at risk. Following calls by trade unions and the main opposition party, Movement for Democracy Change – Alliance (MDC-A), hundreds of businesses took part in a three-day strike as protesters filled the streets. Reports of looting also surfaced, however it’s unclear how extensive the practice was. The government responded by restricting access to social media networks and, on Tuesday January 15, shutdown access to the internet entirely in substantial areas of the country. The shutdown hampered citizens’ attempts to organise demonstrations or communicate with international journalists, with the hashtag #SwitchBackOnZW quickly gaining traction on Twitter. The internet blackout accompanied widespread clashes between police forces including the army and protesters, with over 600 arrests and at least 12 deaths reported. However, with little-to-no access to the internet, reliable information was slow to emerge. Jacob Mafume, the spokesperson for MDC-A claimed that “the total shutdown of the internet [was] to enable crimes against humanity.” Similarly, the UN denounced the “excessive use of force” by the security forces. Mass arrests, police brutality and tight restrictions on digital freedoms has left many fearing the return of authoritarian leadership following Mugabe’s departure in November 2017. One protester told AFP: “Mugabe was evil but he listened.” For many, the shutdown epitomises Mnangagwa’s unwillingness to listen to the grievances of Zimbabweans and his obstinate position. The implications of this are not particularly complex: the government has the right to restrict access to the internet whenever they deem there to be a serious disturbance, regardless of the ruling of the High Court or any other institution. Without solid protections, freedom of speech, democratic participation and parliamentary processes are all endangered. In the process, regimes can control the flow of information within and out of a country, and act without fear of repercussions. It must also be asked, if a total shutdown of the internet is deemed appropriate during fuel protests, what does that mean for more politically motivated, and perhaps violent, protests? This is not solely a domestic issue. Instead, the practice and its surrounding rhetoric has significant geopolitical ramifications. Coupled with the shutdowns in Sudan, DR Congo, Gabon and Cameroon, there are fears growing throughout the region that access to the internet is no longer a protected freedom and with it, neither is democracy. As internet ‘kill switches’ become an increasingly popular tool for regimes seeking to quell unrest and stifle dissent, there is the potential that democracies across the region will suffer. Without adequate protections and constitutional safeguards, regimes will continue to manipulate the idea of national security in order to suppress freedom of expression and weaken democratic processes. Samuel Woodhams is a Researcher at Top10VPN. He writes about the intersection of technology and politics and covers global developments in censorship and digital privacy. Next articleUganda: Why can’t Museveni control his party?